The Hidden Gems were revealed this Saturday past. . . People Helping People held their 4th annual event at the beautiful Clover Creek Ranch and Vineyard in the Santa Ynez Valley. The gathering featured wines from some superb home winemakers and small boutique professional wineries (annual production 1,000 cases and under), as well as original artwork by Tahoe artist Reds Regan. New West Catering provided a dazzling selection of small plates and wood fired pizzas to compliment the vintages offered. As the afternoon sun dipped below the branches of the wonderful Live Oak tree the generous participants bid against each other for trips to the Hawaiian Islands and dinners for groups of 6-12 at wonderful restaurants such as Toscana in Brentwood. After the blind tasting and judges scores were tallied we were thrilled and suprised when Dean Palius, Executive Director of People Helping People announced “Best of Show” went to Altman Winery 2008 Petite Syrah. Wow! Order a bottle of the award winning vintage send an email with quantity to altmanwinery@gmail.com we will give you a written quote and deliver to your door. 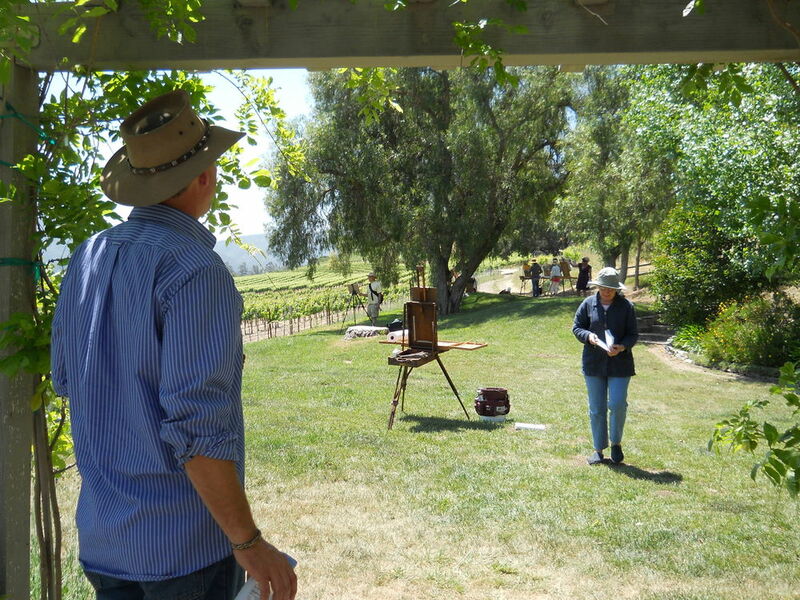 On a beautiful afternoon in May Plein Air devotees gather to capture the light and setting surrounding La Presa Vineyards in Santa Ynez. 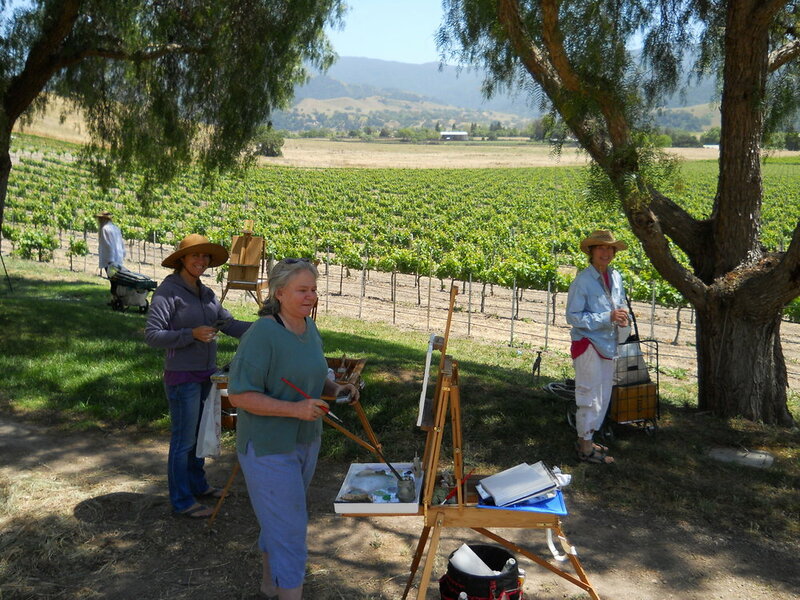 Well known for his talent and commitment to the regions art community Thomas Van Stein brought his Wednesday “Light and Shadow” art class to the vineyard to paint. If you are familiar with Van Stein’s work it is remarkable, if it is new to you catch a peak http://www.thomasvanstein.net/ . Some of the Artist’s works may need to be finished at home as the wine came out and the tasting began shortly after class ended. Wendy has studied under Thomas for several years, we think he is a wonderfully talented artist and very good friend.